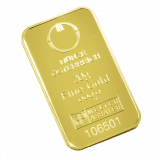 When economies suffer inflation or a debt crisis, gold is the first choice for investors. For some years now, the industrialised nations have suffered from the highest public debt seen in peacetime. Both the structural imbalance between income and expenditure as well as demographic changes have caused national debt to increase, hindering a reduction of debt levels. In 1980, the national debt of the United States still stood at $1 trillion. By mid-2014, the figure had risen to $17.6 trillion. As an illustration, this figure (with the price of gold at $31,000 a kilo) corresponds to 567,000 tons of gold, four times the amount ever mined in the course of history. When debt is exploding, interest payments barely rise. This is because over the last few decades, interest rates have fallen to their lowest levels ever, and debtors are able to refinance their old debts by purchasing new debt at ever diminishing interest rates. As such, any attempt to increase interest rates would result in significantly higher liabilities. At an interest rate of 5%, for example, the interest repayments on United States debt would be in the region of $1 trillion, representing around 40% of today’s annual tax revenue. There are only a limited number of ways out of the debt trap. On the one hand, by means of growth and on the other, via drastic budget cuts and saving measures, as well as higher rates of taxation or regular doses of so-called ‘financial repression’. One of the most important aims of financial repression is to maintain nominal interest rates below the rate of inflation (the equivalent of negative real interest rates). This lowers the state’s interest repayments and contributes to a real reduction in the debt burden. One man’s meat is another man’s poison: savers worldwide lose somewhere in the region of €100 billion every year. However, levels of interest are likely to remain low over the coming years and real interest rates similarly low. 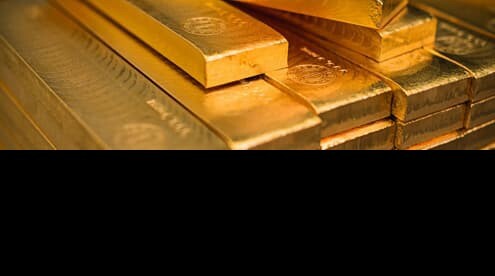 The tendency represents a very positive environment for the price of gold. Debt overload is often merely the other side of the coin of inflation. Even if today the term ‘inflation’ is mostly used as a synonym for rising consumer prices, it is important to clarify this semantic imprecision. Originally deriving from the Latin ‘inflare’, meaning swelling, today the expression refers specifically to the expansion of the money supply, which eventually leads to rising consumer prices and also to price inflation. Today’s central banks see a certain level of price inflation as a healthy sign for the economy. The European Central Bank’s policies for the Eurozone are aimed at keeping the loss of purchasing power at 2%. However, one should bear in mind that an annual loss of 2% leads to an accumulated loss of purchasing power of around 50% within 20 years. This is particularly relevant for savers if real interest rates (i.e. the difference between interest on savings and price inflation) are negative and this loss of purchasing power cannot be offset by traditional investments. It is particularly easy to increase the money supply through an unsecured ‘fiat money system’. Since the end of the Bretton Woods Agreements in 1971, practically all the world’s currencies are completely unsecured. Formerly the value and purchasing power of each currency was backed – at least partially – by gold reserves. Simply put, central banks increase the money supply by purchasing public debt in the form of government bonds with the newly printed money. 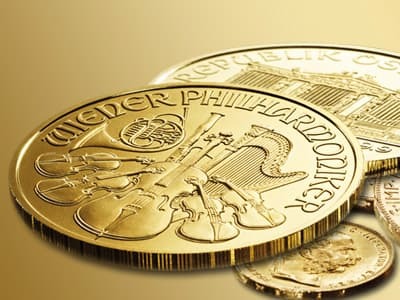 Numerous studies have shown that the growth of the money supply and the consequent rise in consumer prices is substantially higher in fiat money systems than in those that are backed by gold. 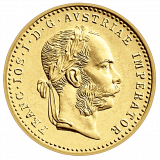 In their wide-ranging study, American economists Rolnik and Weber have demonstrated that the average inflation rate in fiat money systems is 9.17%, while with the gold standard it is only 1.75%. 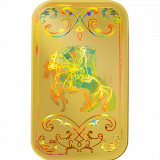 There are many long-term comparisons that prove that gold, despite all the crises endured over the centuries, maintains its purchasing power. For example, according to the Old Testament, in ancient Babylon in 6 BC, an ounce of gold could buy 350 loaves of bread. This exchange is broadly the same today. The most extreme example of the last century, however, is that of the German hyperinflation of 1923 when 500 grams of gold could buy a whole apartment block. 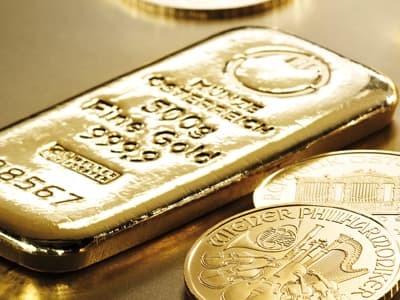 Although the fearful spectre of hyperinflation in Europe is unlikely to return to haunt us in the foreseeable future, the example illustrates the yellow metal’s suitability as a store of value and its significance as a stable cornerstone in a balanced investment strategy. In the course of history gold has shown itself, particularly in times weak economies, to be an excellent, rock-solid store of value. Gold remains gold, in good times and in bad. Your savings can be safer when invested in gold. We tell you how. No other element has exerted such a powerful attraction on mankind as gold.